TSPO antibody recognizes TSPO, also known as translocator protein, benzodiazepine peripheral binding site, mitochondrial benzodiazepine receptor or peripheral-type benzodiazepine receptor. Rabbit anti Human TSPO antibody recognizes TSPO, also known as translocator protein, benzodiazepine peripheral binding site, mitochondrial benzodiazepine receptor or peripheral-type benzodiazepine receptor. Present mainly in the mitochondrial compartment of peripheral tissues, the protein encoded by TSPO interacts with some benzodiazepines and has different affinities than its endogenous counterpart. The protein is a key factor in the flow of cholesterol into mitochondria to permit the initiation of steroid hormone synthesis. Alternatively spliced transcript variants have been reported; one of the variants lacks an internal exon and is considered non-coding, and the other variants encode the same protein (provided by RefSeq, Feb 2012). 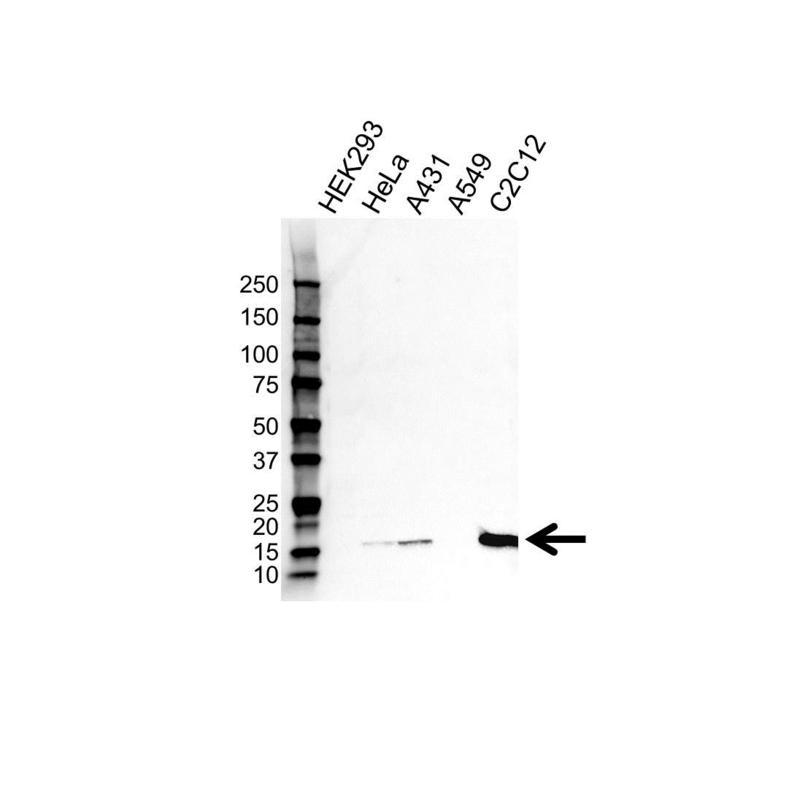 Rabbit anti Human TSPO antibody detects a band of 18 kDa. The antibody has been extensively validated for western blotting using whole cell lysates.